AJP Commercial Shredding is on its way to becoming Michigan’s top choice for onsite Mobile Shredding Service. Customers can feel confident that the team at AJP will provide professional and prompt service in secure document destruction. destroy company documents. 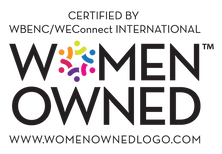 Clients will be completely satisfied and feel confident with our secure and easy document destructions process. There is no need for co-workers to debate on who should complete the quarterly shredding tasks. AJP Commercial Shredding will manage any task large or small in no time by allowing clients time to focus on their own responsibilities. and secure document destruction. 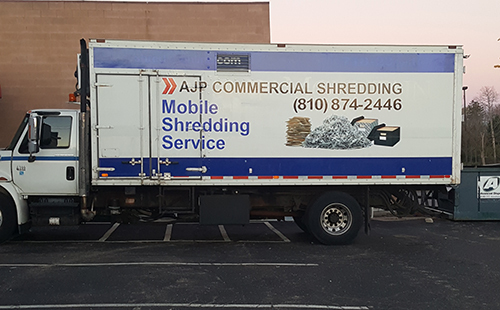 In addition to on-site mobile shredding, AJP Commercial Shredding offers additional ergonomic, secure, convenient and efficient products for additional security. to building a partnership and long-term relationship. AJP provides customized on-site document destruction of a clients sensitive information, whether the business requires weekly, bi-weekly, monthly or annual purges. Community Shred Events for municipalities, credit unions or financial firms offer residents and clients a day of security to purge their old files.